When Nightline decided to implement an InPost easyPack locker solution in Ireland, they required a means of entering the data for the inbound shipments into their booking and locker management system. Without wishing to integrate to every carrier in Ireland, any of whom could be delivering time sensitive parcels to their door daily, an elegant fast solution had to be devised. The package had to be measured, to ensure the correct size locker was booked. 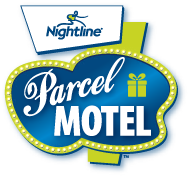 The consignee details had to be entered, to ensure they were registered users of the ParcelMotel system, find out which was their preferred locker location to deliver the shipment to and of course charge them for the service of delivery to the motel. In addition tracking information was required, to tie the first delivery to the second, and a photographic proof of receipt of the parcel was also required. Finally the shipment had to be relabelled for it’s final delivery to the ParcelMotel selected by the consignee. We were given the task of implementing a complete bespoke solution to cover the above, which had to go live in a month from the date of the brief. The PostID toolkit was used by us, integrating fully into the ParcelMotel locker preference system with web service calls, and collecting the package dimensions using a Cubelogic DSU. Adam scales, a Logitech webcam, a Zebra printer and a Lenovo touch screen PC were used to generate a solution that completely meets the requirements of Nightline, and offers a complete data entry solution which takes seconds not minutes. The easy intuitive touch screen user interface is loved by operators and the entire solution has been a great success; the ParcelMotel network being expanded across Ireland from the Dublin Launch locations.